Hi everyone and I hope you are all getting ready for the festive period. This is just a short post to let you know that I have created a group specifically to talk about Each Way Betting, share tips, results and help address any questions you might have along the way. So, no matter what your question, if you want a place you can come and get some instant assistance, then hopefully this will prove beneficial. I’ve decided to use a service called Slack. If you are not familiar with Slack, its essentially like most other messenger platforms, but a much more polished place where folk can come together to collaborate, share important information with some awesome tools. I’m using this platform actively every day as its the chosen platform for my Executive MBA classmates to interact and collaborate on projects and coursework, so it makes a lot of sense for me to create an Each Way Betting channel on there rather than a different platform. I did briefly start a Facebook Group, but I’m not on there very much and, as a result, it’s not as interactive as I’d like it to be. For those of you that joined that group, I’ll be prompting you to switch to Slack. You can download the Slack application (for free) for iPhone, Android or desktop and then use the link above to access the group. 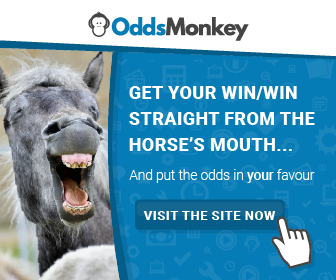 I have recently come across your blog and am trialling each way betting. I ahve tried to join the Slack group but the link doesnt appear to be working? Hi Antonia – you’ll see in later posts that I have closed wide access to the group as it’s grown incredibly fast so, in order to keep it optimal, I’ve decided to limit numbers for now. I can send you a direct invitation. Thanks!